ES3 manages one of the country’s largest grocery transportation networks, servicing manufacturers, wholesalers, and retailers across all channels. 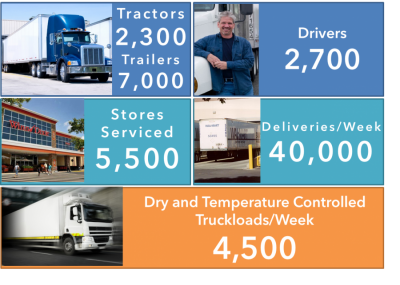 ES3 has dedicated fleets that deliver products across all temperature classes to the stores of many of the nation’s largest retailers on a daily basis. 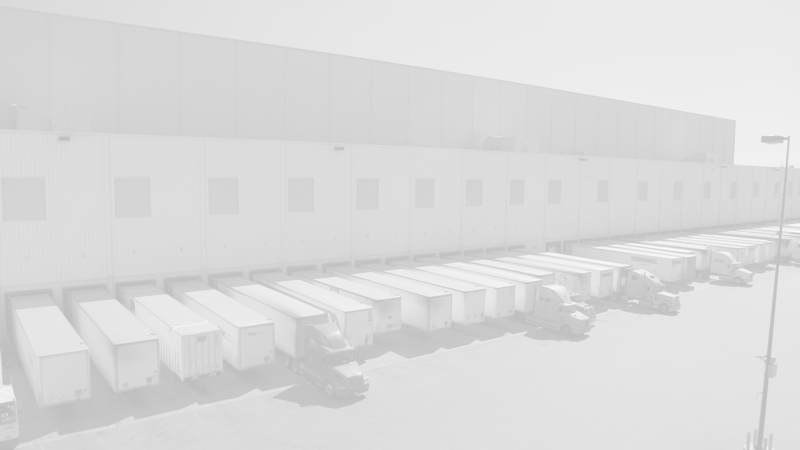 Additionally, ES3 manages all outbound freight from the world’s largest grocery warehouse in York, PA. The ES3 facility in York ships more than 750 outbound trucks per day and services all classes of trade in the Northeast for more than 50 manufacturers. This scale, and ability to provide continuous move opportunities, allows ES3 to offer customers the best service at the lowest cost. Visibility: ES3’s carriers provide real-time order tracking through on-board systems and web-based order status reporting. ES3 also has the ability to provide receiving locations with electronic advanced ship notifications that support “scan and receive” efficiency. Service: The Transportation team is available 24 hours a day 7 days a week to ensure that shipments and deliveries run on time and questions are answered. Optimization: With ES3’s scale, optimization can be achieved through continuous moves, LTL pooling, and true consolidation. ES3’s Consolidation program is unique as it starts the optimization with the retail order and guarantees manufacturers a minimum truck basis of more than 42,000 cube-adjusted weight (CAW). This industry-leading initiative saves manufacturers more than 10% of their annual freight costs. Flexibility: ES3 does it all. From short hauls to long hauls, ES3 covers continental US as well as Hawaii. ES3 provides rail and container support and handles both imports and exports. ES3 covers all temperature classes and maintains a large fleet of refrigerated equipment. ES3 provides transportation management services from the factory to the store. We know the consumer packaged goods industry from manufacturers to retailers. We have the sense of urgency and the commitment to service that makes sure that products get to the shelf before there is an out-of-stock. With ES3, everyone wins. Please click here if you would like to contact an ES3 representative.